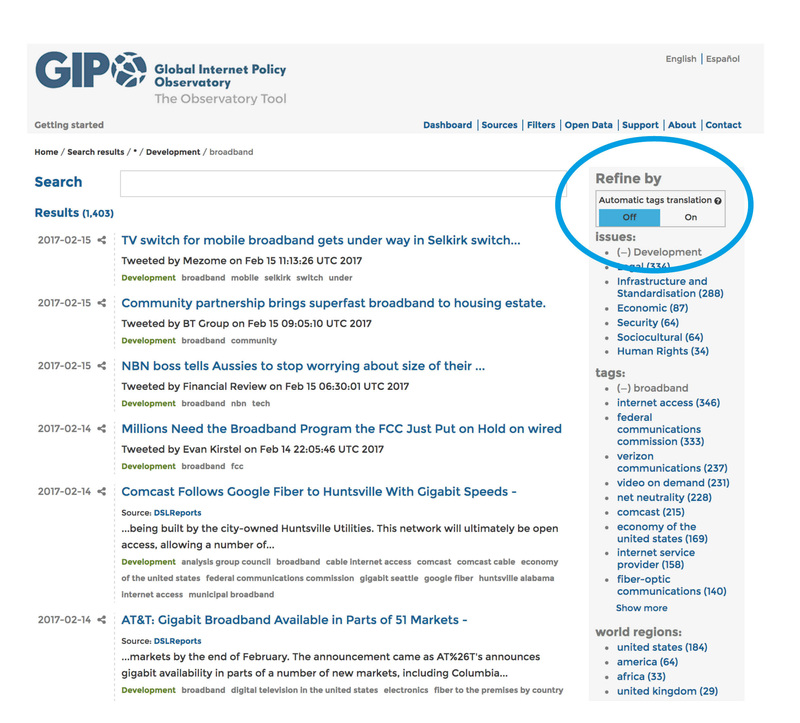 We’re pleased to announce the final version of the GIPO Tool (4th iteration). The beta label has been removed. 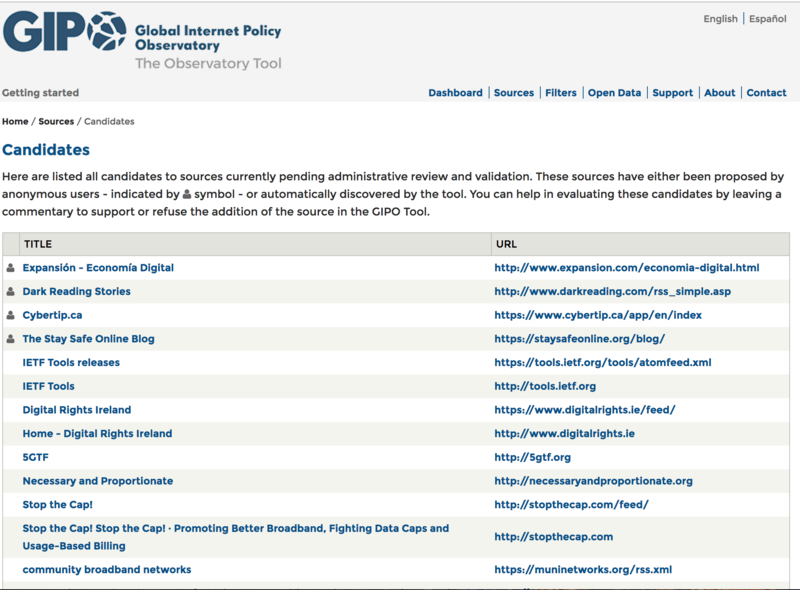 There is a new list of “candidates” to sources: http://observatory.giponet.org/sources/candidates with sources proposed by users plus sources automatically discovered and proposed by the tool itself. If the default language of your browser is other than English, then you will see an option to activate/deactivate automatic tags translation at the top of the “Latest updates” section on the home page, and also at the top of the “Refine by” section on the search results page. 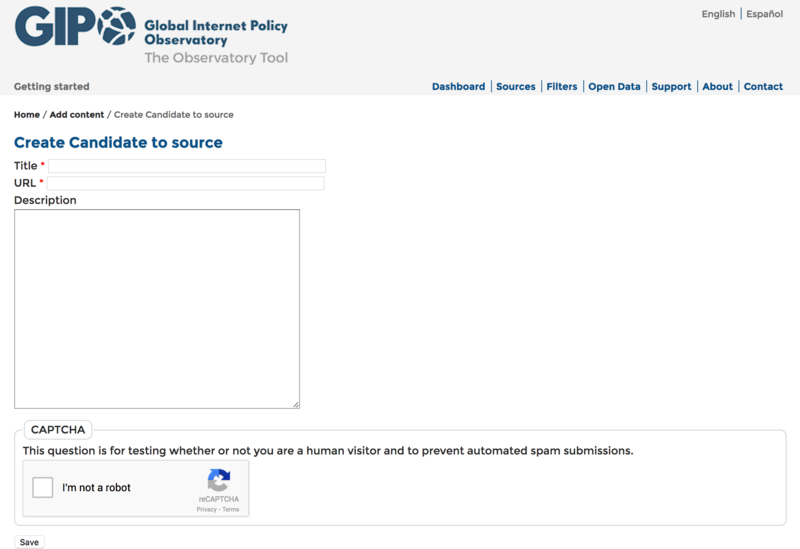 Most desktop browsers have settings that allow you to check or change the language preference settings. Browsers that allow you to change your language preferences will generally allow you to specify a list of languages, so that if your first choices are not available you can say what alternative languages to try, and in what order. For example, in Firefox go to Preferences > Content > Languages.